Thank you for your interest in our Parties - we can't think of a better way to celebrate! 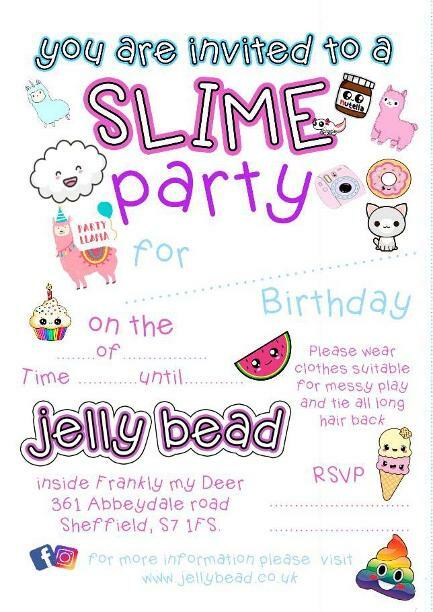 • our team will provide everything required for an incredible slime party. • Just like our workshops, we do a little presentation with fun slime facts and then show the kids how to make perfect slime. We end with a giant slime, which they love! • Minimum is £144 for up to 8 children, any additional children are £18 per child. • our parties come with Pizza, afternoon tea or Unicorn burgers. you can add, cake and party bags to your package too please get in touch if you need anymore information! BOOKING A PARTY IS EASY! We try to reply within 30 minutes Tuesday to Friday 9am-5pm, Although sometimes it may take us a little longer, but we will always get back to you within 24 hours, please check your Junk files for our replies. Simply fill out the form below and submit to us. send us dates which suit you, we will reply, then please confirm if any of the dates are suitable, We will then reply with your booking confirmation with a password for you to pay your deposit. Please pay your deposit within 24 hours, if the deposit is left unpaid after 24 hours, we will require you to repeat the online form stage to check we still have availability. please be sure to include all add ons such as cake, party bags. How many children will attend? once you have received your confirmation email, you will be given a password to enter our party payment page, Find your child's name and their party date, please confirm the details are correct and make payment. if you did not make payment in full, you should return to the page 10 days prior to your party to pay the balance. once items are inyour basket you can still navigate around the website, to add extras to give your party that extra special touch. if you can get in store you can pick up our party pack, however we understand that you are busy so you can also download everything here, apart from the lolipop sorry! 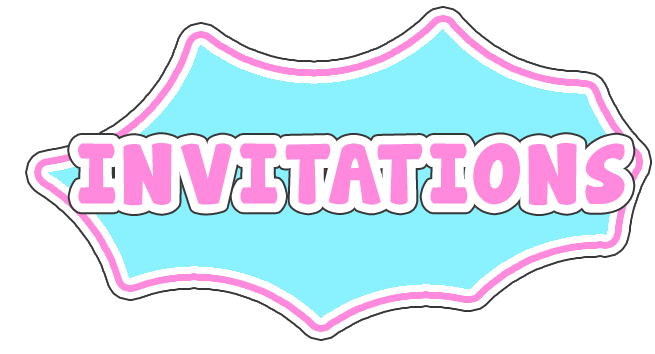 We are unable to post invites out.